I am an experienced counsellor and psycotherapist who is passionate about helping people. If you feel you are suffering from; PTSD, stress, anxiety, depression, bereavement, abuse or trauma of any kind - it can take its toll on your whole being and also on those close to you. It requires careful and sensitive handling to help find a way forward. I understand that it can be incredibly daunting when sharing life's difficulties, and situations with another person. It is my aim to create a safe and comfortable environment within which you are able to build trust with your counsellor in a non judgmental and confidential environment and where you can discuss your concerns openly and honestly. This might include talking about life events, (past and present), feelings, emotions, relationships, ways of thinking and patterns of behaviour. 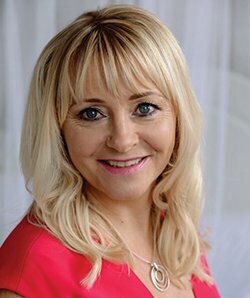 I recognise that each individual is unique, so by combining my variety of skills and techniques with a holistic approach to mental health and emotional wellbeing, I can tailor my therapy to suit the needs of my clients. I am a fully qualified counsellor and Cognitive Behavourial Therapist (CBT) with a 1st class BA (Hons) degree in Counselling. I have extensive training in trauma therapy (EMDR) which has proven to be invaluable in the treatment of severe complex issues (please read my testimonials). I also combine Mindfulness and Meditation within my practise. I am a firm believer in the mind/body connection and have particular interest in nutrition and body work such as yoga, breathe work and exercise. I work within the Coventry and Warwickshire area from my private practice's at Lifeways and Revital Healths Foods in Stratford Upon Avon and Pure Offices in Warwick. I offer appointments daytime, evening or at weekends. During my career I have gained valuable experience working with adults handling a wide range of issues, helping my clients to achieve a better balance in their lives. I work part-time as a school counsellor in a dynamic and forward thinking school who recognise the importance of offering counselling to children and adolescents and putting in place mechanisms and strategies to allow them to cope with the pressures of growing up in a changing world. As a member of the BACP I adhere to the rules and regulations that ensure the safety of the client and therapist. In compliance with BACP guidelines, I engage in regular supervision to ensure I work ethically and professionally.